Experience the sensation of flying with a flyboard excursion in Cartagena. 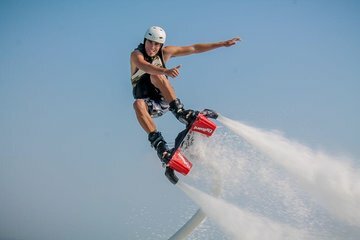 Travel outside the walled city to the beaches of Los Morros and receive instructions on how to make the most of your flyboarding session. Use the flyboard both to fly in the air and to move quickly in the water. No prior experience is required.